Anybody who knows me knows very well that I am a huge baseball fan. I vividly recall back in 1994 during the baseball strike, a concept was presented by two Harvard Business School professors who suggested resuming the MLB season but prohibiting owners and players from receiving their revenue and pay. Instead, they proposed depositing these funds into an escrow fund to be disbursed only after the dispute was resolved. Presumably, the money would rapidly accumulate in escrow during this “virtual strike” thereby motivating each group to reach a deal. At first, I thought these professors were out of touch but in retrospect, this was a cool concept. 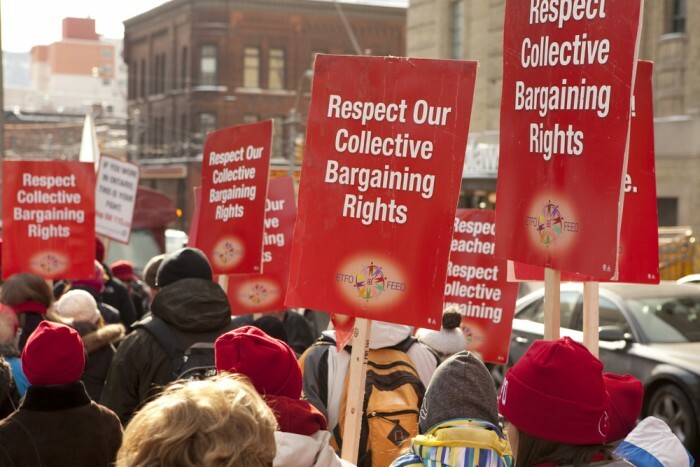 Creating a virtual-strike clause into contracts during collective bargaining negotiations that would promote and encourage unions and management to create a situation in which strikes would not destroy long-term value to either side – what a novel idea! 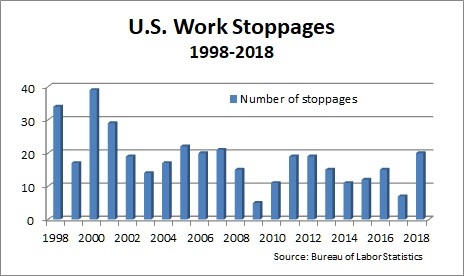 Prior agreements began before the economic upturn – Three to five years ago, the labor union agreements did not reflect the recent good times in the economy. Unless there were built-in provisions in labor contracts for items such as profit-sharing, some of the recent economic benefits were not shared with employees. Companies are more concerned about the future – Even though the past several years have produced great results in the economy, the forecast for the future may not be so rosy. Employers are nervous and reluctant to increase fix costs. Healthy financials – From the union perspective, the going-in financial picture for an employer is fantastic. The unions expect and will demand a share of those rewards, as prior contracts did not yield favorable returns. An employer today may be focused on providing one-time bonuses but labor wants in on the card. Time-off costs – Costs for leave of absences, disabilities, etc. are increasing and causing strains on the workforce with increasing overtime costs. Benefit and retirement costs – Hard to imagine that this is actually more difficult than the prior negotiations, but it is. Inability to continue to shift costs to employees and staggering legacy pension liabilities still exist. Short supply of quality labor – A tight labor market is straining the ability to attract and retain needed talent, resulting in increases of starting wage rates with a trickle up impact. Customer loyalty – Customers demand on-time, high-quality products at reasonable prices. They are not willing to stay with you if you fail to meet these demands and will consider alternatives. Just-in-time inventory is now the trend for customers and as such, there is no willingness to stockpile inventory due to the possibility of a labor stoppage on your end. These are among many factors that contribute to strikes and prevent parties from reaching agreement in collective bargaining negotiations. Overconfidence and false ideas on negotiations can also come into play. Overconfidence leads negotiators on both sides to believe their cases are stronger than they really are, while underestimating the other side’s willingness to stand firm. When one side doubts the other side’s claims, a strike becomes even more tempting. From an employer’s perspective, offering a lump sum payment without any future work requirements seems like the best deal. This may then cause a near-sighted reaction when fairness concerns cause negotiators to reject deals that would leave both sides better off. Viewing negotiations as competitions that are to be “won” keeps the focus on distributive negotiation at the expense of bargaining, and stands in the way of an agreement that will satisfy everyone’s interests. Avoid extreme demands – When talks get heated, it’s tempting to draw a line in the sand. But making firm demands is usually a mistake. When you do so, you prevent yourself from considering alternative proposals that might meet your needs just as well. To make matters worse, demands increase the tendency to escalate commitment to a strike. Take the other side’s perspective – Far too often, we assume we fully understand the other side’s interests and goals. This is especially true in competitive situations such as competitive bargaining negotiations, where we tend to fall back on stereotypes. Transparency with employees/members – Unions are becoming quite savvy in communicating with their members and potential members. Union leaders are focusing on being more transparent with their members during the bargaining process, using social media, and other avenues. To stay ahead of and counter union communications, employers in the midst of contract negotiations should institute and invest in more robust communication strategies with their employees as well. Social media and other online communications boards are essential in getting the company’s message out, especially to millennials and other employee demographics who will seek information from such sources. Use caution as to not trigger any unfair labor practices or similar violations. Collective bargaining will become more transparent and should be viewed from all perspectives moving forward to promote and encourage long term value, in doing so, will create a home-run for both sides. Elliot Dinkin, President and CEO at Cowden Associates, Inc, a United Benefit Advisors Partner Firm, is a 25-year plus veteran of the actuarial, compensation and employee benefits field and frequent expert witness in legal proceedings on concerns ranging from compensation?and collective bargaining issues to retirement.